Dinosaurs lived on the Earth millions of years ago. 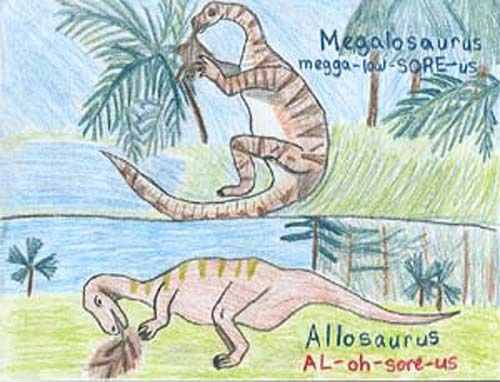 Some lived in the ocean but most dinosaurs lived on land. 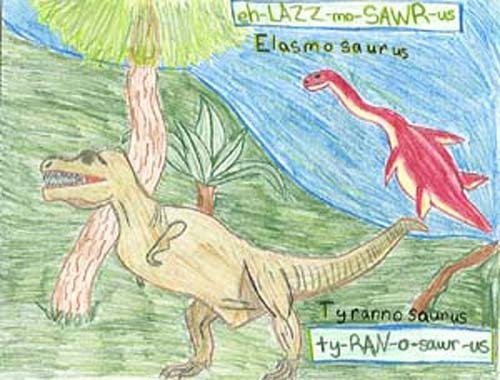 Dinosaurs were reptiles . 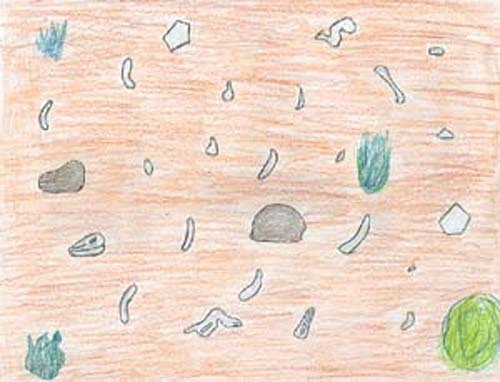 Most of them had scaly skin, a long tail, teeth, and claws on their fingers and toes. Scientists wonder which dinosaur was the biggest. 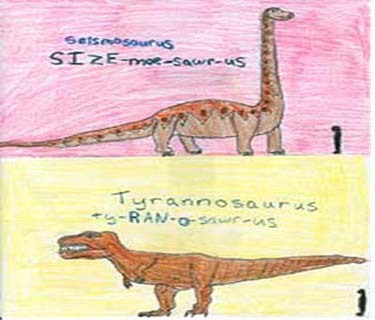 Was the seismosaurus or the tyrannosaurus the biggest? 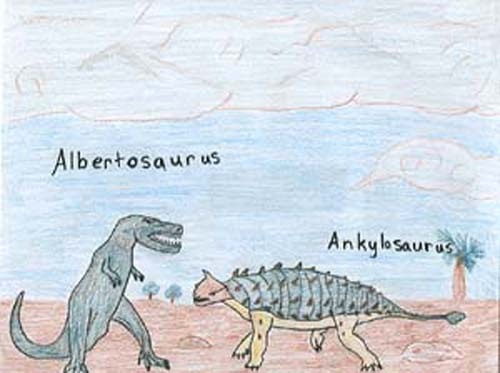 Scientists wonder which dinosaur was the smallest. 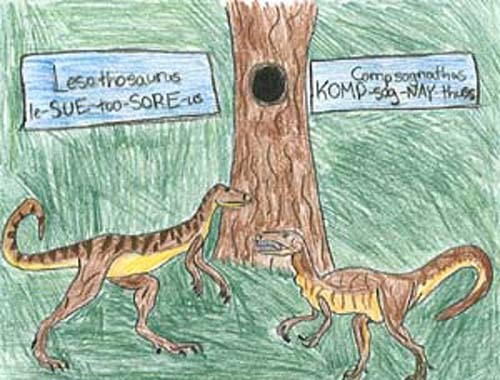 Was the smallest dinosaur the Compsognathus or the Lesothosaurus? Some dinosaurs ran fast. Some dinosaurs walked slowly. 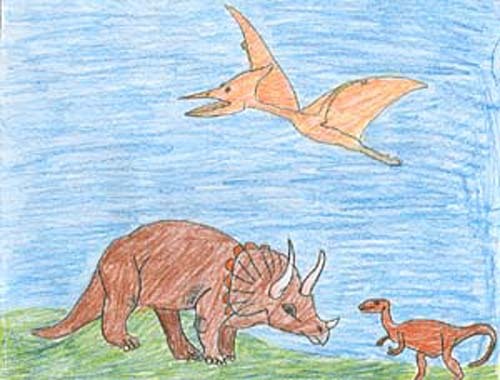 Some dinosaurs had wings and were able to fly. What did dinosaurs eat? 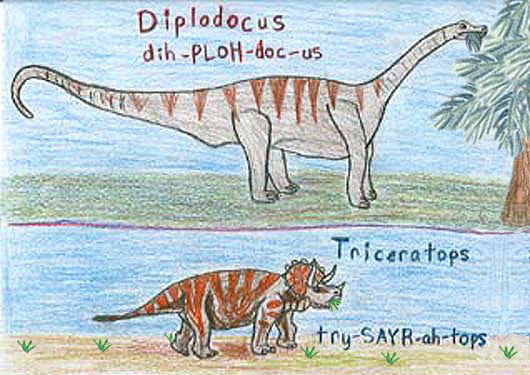 Most dinosaurs were herbivores . They ate plants. 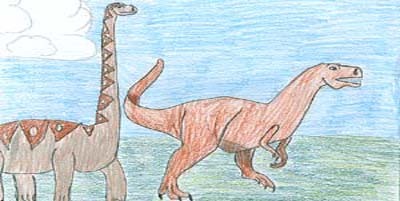 A few dinosaurs were carnivores . They ate meat. Dinosaurs protected themselves from enemies in different ways. 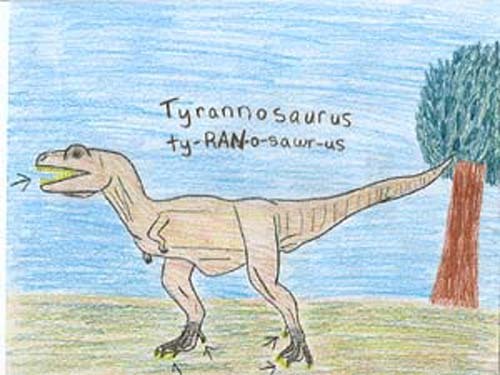 The Tyrannosaurus had long fangs and claws to protect itself. 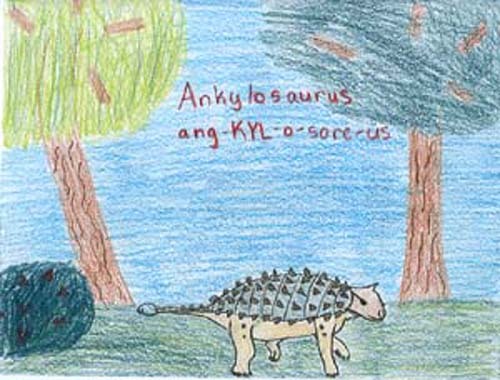 The Ankylosaurus had a hard shell to protect itself. 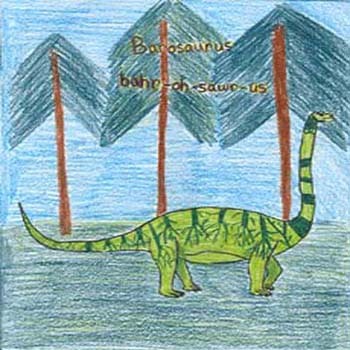 The Barosaurus had a huge, strong tail that was used like a whip. How do we know so much about dinosaurs ? 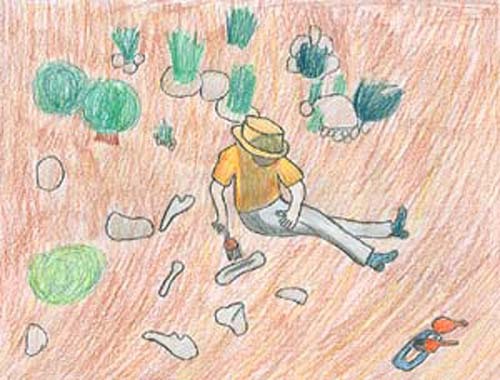 Scientists find and study dinosaur bones and fossils . 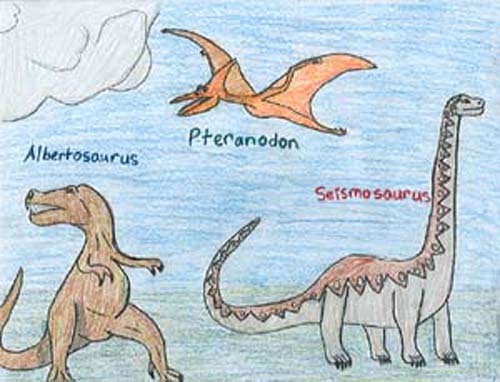 Dinosaur fossils are remains of their teeth, bones, and footprints that scientists find when they dig in the ground. 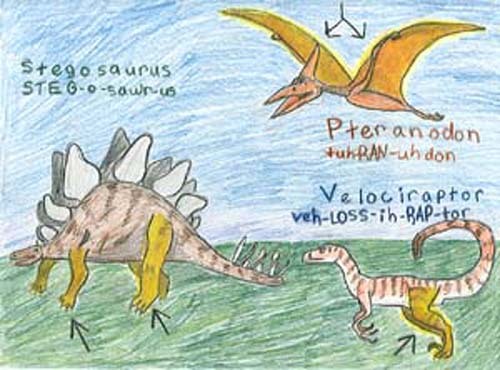 Dinosaurs no longer live on the Earth. They disappeared 65 million years ago. They are extinct . This book is dedicated to the children of Malden. 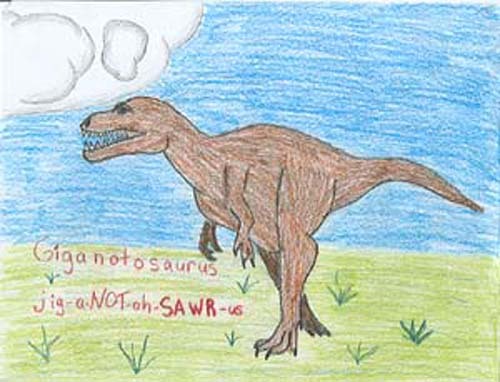 This Dinosaur Facts is an adaption from Dinofacts by Denise Perry, Mary Jo Koizumi, and Linda Bell. Illustrated by Meg Lidrbauch. Clipart.com: dinosaur photo © 2009 Jupiterimages Corporation all rights reserved.